The practice of criminal law is not about quick fixes. Defence work is not about band-aids or short term outcomes. The practice of criminal law is a vocation and requires skill, knowledge, strategy and empathy to practice. Emma Higgins is a compassionate, creative and decisive lawyer who is passionate about achieving excellent results for her clients. She has expertise in all areas of criminal law, domestic violence law and traffic law. Emma has created a reputation for herself as a caring and considerate solicitor who listens to her clients stories and helps them to find a path that is in line with their future goals. She supports her clients through matters offering a supportive and safe space for views to be expressed. Emma worked full time throughout university for a number of law firms. In 2011 Emma joined Robertson O’Gorman as a law clerk during her final year of law school. She achieved a Bachelor of Laws with Honours and a Bachelor of Business majoring in Economics from the Queensland University of Technology and a Graduate Diploma of Legal Practice from the College of Law. When meeting clients for the first time, Emma asks what they want to achieve from the proceedings and visualises what she wants to be able to achieve for them. With this vision firmly in her head, she can then help clients to focus on the big picture, to understand what they are trying to do and set out what steps need to be taken by them and by her to achieve that result. Emma is committed to the legal profession understanding the role she plays as a lawyer in the community not just in the courtroom. She is the secretary of the Law & Justice Institute, has been nominated for the WLAQ Emergent Young Woman Lawyer award, taught at the University of Queensland in Criminal law and been a mooting judge at a number of university competitions. In 2017, she literally ‘wrote the book’ on criminal law when she co-authored Criminal Process in Queensland (2nd Ed) a book about criminal responsibility, defences and process. All funds from the sale of that book have been donated to the Caxton Legal Centre. Emma has represented clients from all walks of life in respect of a wide range of offending behaviour and has achieved great outcomes for her clients. Because of her nature, she often finds herself advising clients on more than just the immediate issue at hand and has developed many long standing and trusted advisory roles with many of her clients. Her clients know that even after the dust settles and they are able to move forward, if a question arises she will take their call and assist them willingly. Emma has been working with Robertson O’Gorman since 2011. She began as a law clerk with the firm during her final years of law school. She obtained a bachelor of laws with honours and bachelor of business majoring in economics from the Queensland University of Technology and a graduate diploma of legal practice from the College of Law. 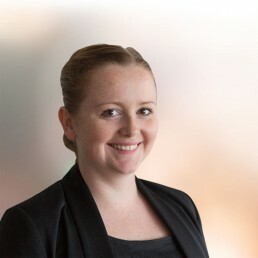 Before coming to Robertson O’Gorman, Emma worked as a law clerk for firms specialising in criminal law and family law offering legal aid services. Emma is the secretary of the Law and Justice Institute Queensland and has previously held a position as a criminal law tutor at the University of Queensland. She has received a nomination for the WLAQ Emergent Young Woman Lawyer award. Emma has represented clients from all walks of life in respect of a wide range of offending behaviour and has achieved great outcomes for her clients.